PositiveSingles is the largest STD dating website, community, and support network. This company was founded in 2001 in Vaughan, Ontario. There are over 1,205,200 registered members and the number is updated daily. Positive Singles has 2000+ success stories that are shared by the members on the website. There are over 120,000 daily conversations, 15,000+ daily active users, 500+ daily blog post, 2400+ STD questions and answers, 900+ care locations, and 500+ treatment stories. Positivesingle’s slogan is: Stay Positive! Find Love, Support & Hope. You are not alone! The PositiveSingles Dating App is available at Google Play and the Apple Store. This app has a simple and direct registration process. To successful register for this app you will need to provide basic information about your identify. This app is highly effective to help singles with herpes, HIV, and other STDs meet their match. The app isn’t only designed to help individual with STDs and herpes singles meet their match. It’s also designed to help those who have an STD find a compatible partner with herpes. Pattern Lock: The PositiveSingles app has a pattern lock device on it. In order to open the app you must type in a code. You won’t have to worry about someone viewing your mobile phone or opening this herpes dating app. No one can unlock the pattern lock without your consent. 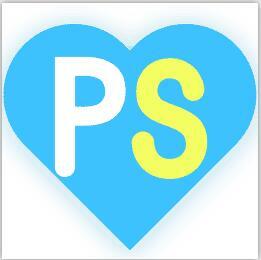 Special App Icon and Name: Positivesingles uses the abbreviation “PS” on the icon and the name for the app. It can protect the privacy of singles with STDs very well. Others will not know what the app is and the members will not feel awkward is this app pushes a message to the member. Private Album: To help protect your identity you can design a private album. You could allow who you want to view your private photo album only with your authorization. You will be given the option if you want to post a photo on your profile page or not. The Positive Singles Dating App also provides you with the option of doing a board of narrow search. Spark: PositiveSingles App is the tinder-style dating app for STD Singles: If you swipe the app to the right you can like someone. If you decide a person doesn’t interest you or to pass someone simply swipe to the left. You won’t be put in any awkward situations. If you pass someone they will not know you saw their picture. The PositiveSingles Dating App is the first and only STD dating website with this unique swipe blog feature. The PS App isn’t only a comforting community for singles with an STD. It provides a comfort zone, helps you meet singles with STDs, helps you find someone you have strong chemistry with, and helps you form a connection with other members. Chat Room: Standard membership and gold membership both include access to the chat room. Only gold member can initiate sending messages to others. Standard members can reply for free. You will have access to the chat room 24/7, the ability to communicate with live support, and the STD Counselor. Both standard and gold member can contact live support and the STD Counselor for free. If you find an attractive member or want to talk another herpes positive member you can message them on a private chat. You’re provided with option of winking at another single herpes member. This app allows herpes singles to share their newest picture by uploading and changing photos as many times as you want. All the features you get from your computer you will also get from the PS Dating App. A one-month subscription is $33.99, three month gold membership is $69.99, and six months cost $109.99. The PositiveSingles Dating App is changing the way people with an STI approach dating. With a subscription to PositiveSingles you will get unlimited access to the herpes Dating and STD support App and all the unique features. Your chance of meeting your match will greatly increase. You will have the option to look for your match in the comfort of a coffee shop or in your home.